One 18 karat white gold ring. Twenty-four round brilliant cut diamonds (0.30 carats). 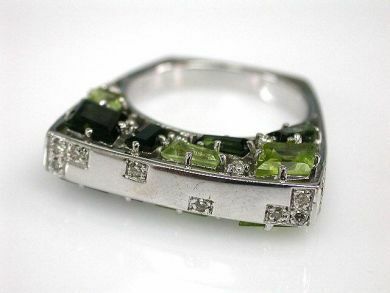 Six baguette lozenge peridots (1.52 carats). Eight tourmalines (2.04 carats).